Upstate Community OB/GYN, located on the Community Campus, improves the access and breadth of OB/GYN services to all patients. A member of this experienced team of six is on-site 24/7, 365 days a year to provide the highest level of OB/GYN services. 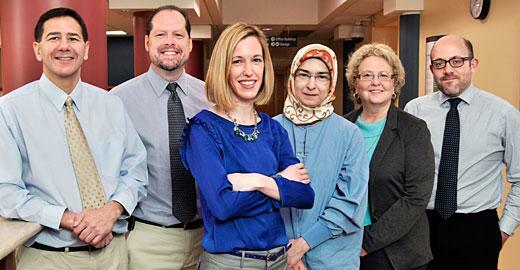 Alongside our dedicated team of anesthesiologists and in-house surgical PA team, Upstate Community OB/GYN is an integral part of the outstanding patient-centered care at Upstate University Hospital's Community Campus. Last Modified: April 10, 2018. Contact Emily Kulkus with questions about the content of this page.